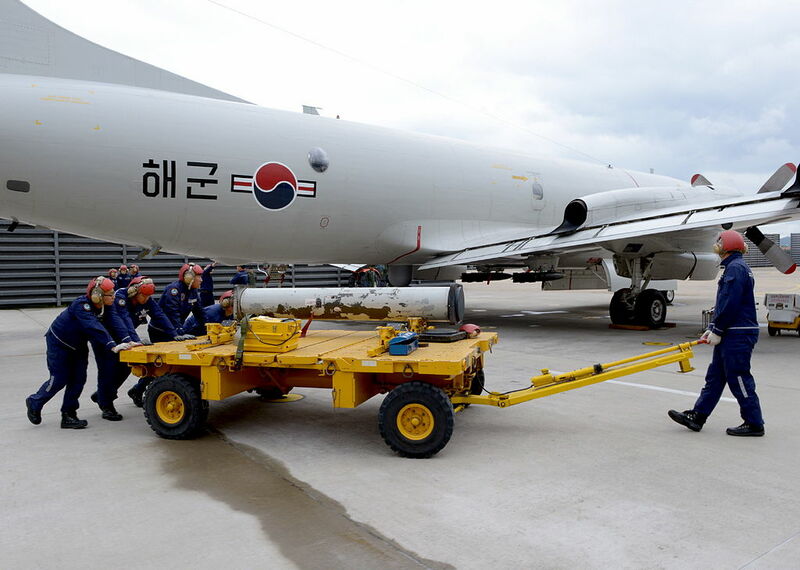 On Jan. 1, 2017, a Republic Of Korea Navy (ROKN) P-3CK Orion on a routine mission over the East Sea lost three Harpoon anti-ship missiles, a torpedo and depth charges after a crew member accidentally activate the emergency jettison switch. As reported by English.yonhapnews.co.kr the P-3 loadout fell into waters 30 miles east of Yangyang on the country’s northeastern coast around 6:10 a.m..
ROKN sources said that the weapons were not armed when they were released so there is little danger of them exploding by mistake. However the service has dispatched a mine sweeper and salvage ship to the area to retrieve the weapons. Since no mechanical defects caused the release of the aircraft loadout, the P-3CK fleet will not be grounded and will continue to perform regular patrols, although closer inspections will be conducted in regards to operations to ensure that such accidents do not occur again in the future. Designed as a long-range, anti-submarine warfare (ASW) aircraft, the P-3 Orion has been the U.S. Navy frontline, land-based maritime patrol aircraft since the 1960s. The most capable Orion version is the P-3C, first delivered to the Navy in 1969. Noteworthy the aircraft mission has evolved in the late 1990s and early 21st century to include surveillance of the battlespace, either at sea or over land. The P-3C can carry a mixed payload of weapons internally and on wing pylons. 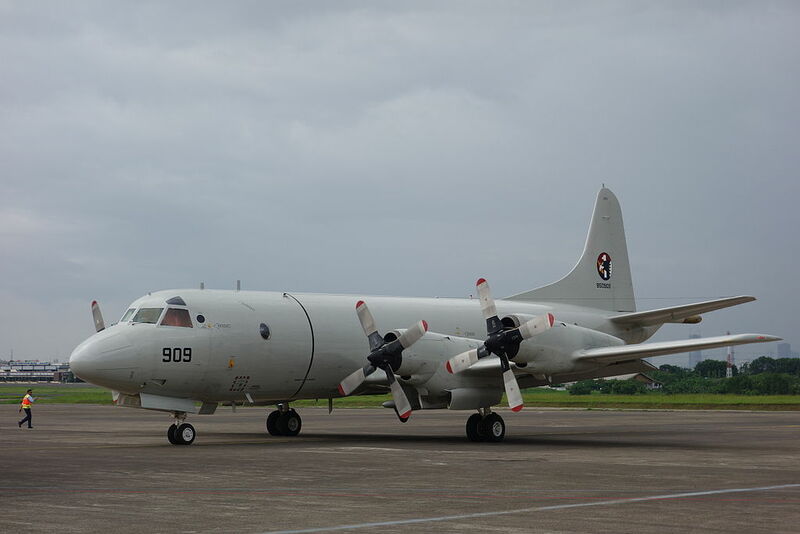 ROKN has a fleet of 16 P-3 Orions, which the service intends to replace with up to 20 new ASW aircraft: among the planes considered to fulfill the role there are not only the C-295 MPA Persuader and the Boeing P-8 Poseidon, but also ex-U.S. Navy S-3 Vikings.